Kevin Bruner finds current television dramas to be "inspirational." 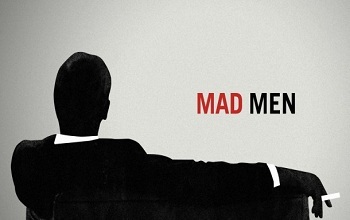 Mad Men is the miraculous show that somehow manages to be classy and sleazy all at once. It draws viewers into an image of the past fraught with the turmoil of changing times and populated by characters that exude the complexity of the days they're living in. In short, it's a great television and, in the right hands, could make a great game too. At least that's what Telltale president and founder Kevin Bruner thinks. "We would love to do Mad Men," said Bruner, speaking to PC Gamer. "Basically all this high-class, scripted television that's out there right now, we're rabid consumers of all of it. It's super inspirational to what we do, and the opportunity to make things like that are interactive would be awesome." Granted, a developer expressing a desire to work on a certain license doesn't mean it will ever happen, but it's hard not to imagine a world in which a Telltale-made Mad Men game wouldn't be a good idea. It would, in the least, be a new direction for the studio following its work on comic-based licenses like The Walking Dead and the currently in-development Fables: The Wolf Among Us. Just thinking about the various forms a Mad Men game could take brings to mind some fun possibilities. Playing as established characters could be a bit limiting, but if it took a similar route to The Walking Dead and introduced a new cast of characters it could provide familiar drama without being limited by the typical Don Draper choices of drink, cheat and self-destruct. It's likely a pipe dream, but we can always hope.